November 28, 2018. 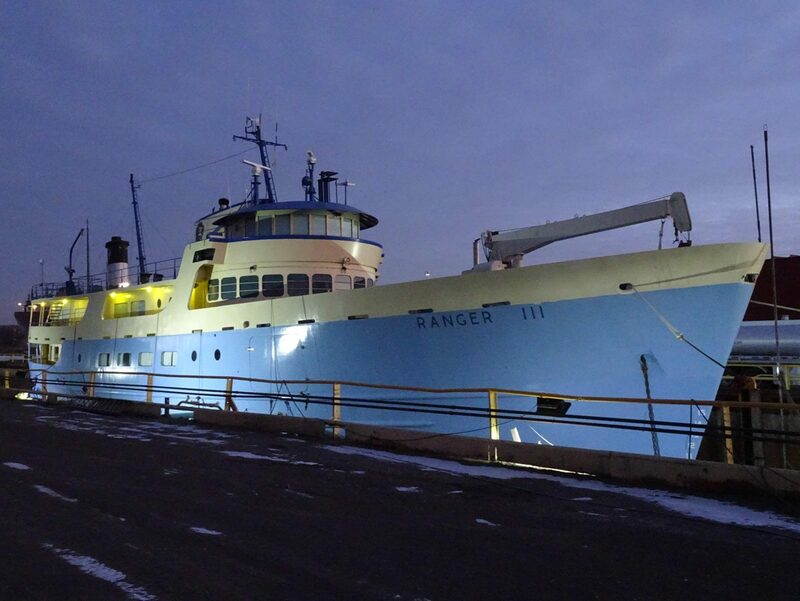 The Ranger III, a beautiful 648-ton vessel built to carry visitors to Isle Royale National Park, is currently in dry dock at Fraser Shipyards for routine maintenance and service. The Ranger III is 165 feet long and 34 feet wide. It carries 128 passengers, as well as 100 tons of cargo and can transport private boats up to 20′ in length. An experienced nine-member crew takes great pride in serving its passengers, departing from Houghton, Michigan or Rock Harbor on Isle Royale.